Councillors have given their backing for seasonal agricultural workers to be accommodated in a former holiday park. 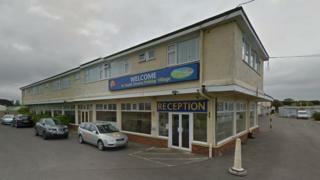 The decision on the South Downs Holiday Village in Bracklesham, West Sussex, comes after migrant workers were moved in when it ceased trading in January. By May, 160 were living there, before Chichester District Council told the owner of the site it could not be used for residential purposes. But, councillors now say the park can house 300 workers until next October. At a meeting earlier, they accepted there had been no impact to crime in the area and accommodation was in short supply. Cre8, which manages the workers' accommodation, had been initially told it was in breach of planning controls by housing the workers there. In response to the reversal of the decision its director Matt Brown said he was disappointed the council had restricted the number of migrants to 300, as it had wanted permission for 500 workers for two years. "That will have an impact on our ability to supply labour and we'll have to find alternative accommodation," he said. The site will return to being a holiday park in 2019.